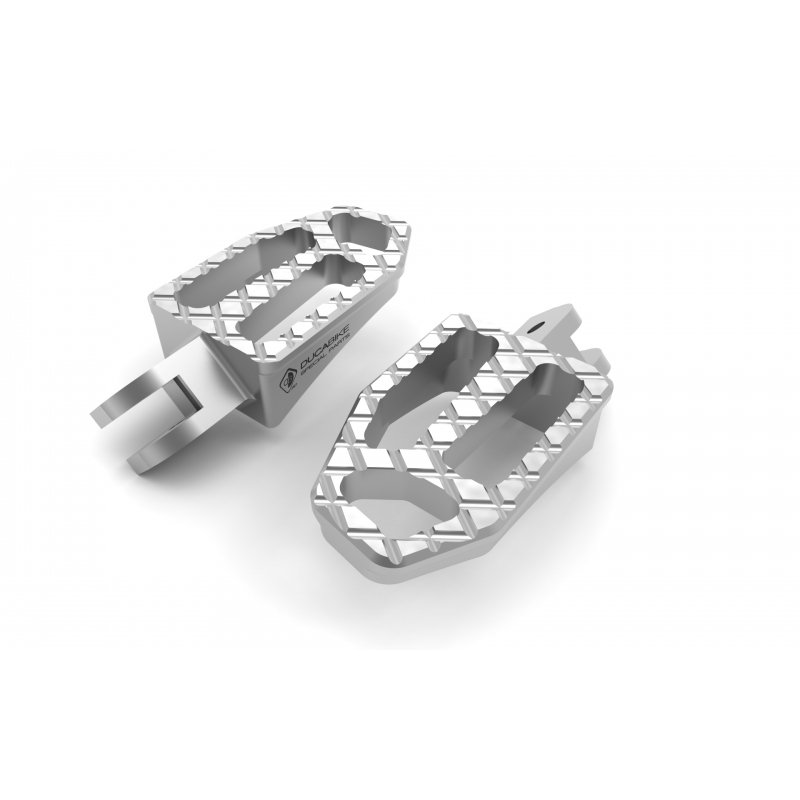 Need better grip under your feet? 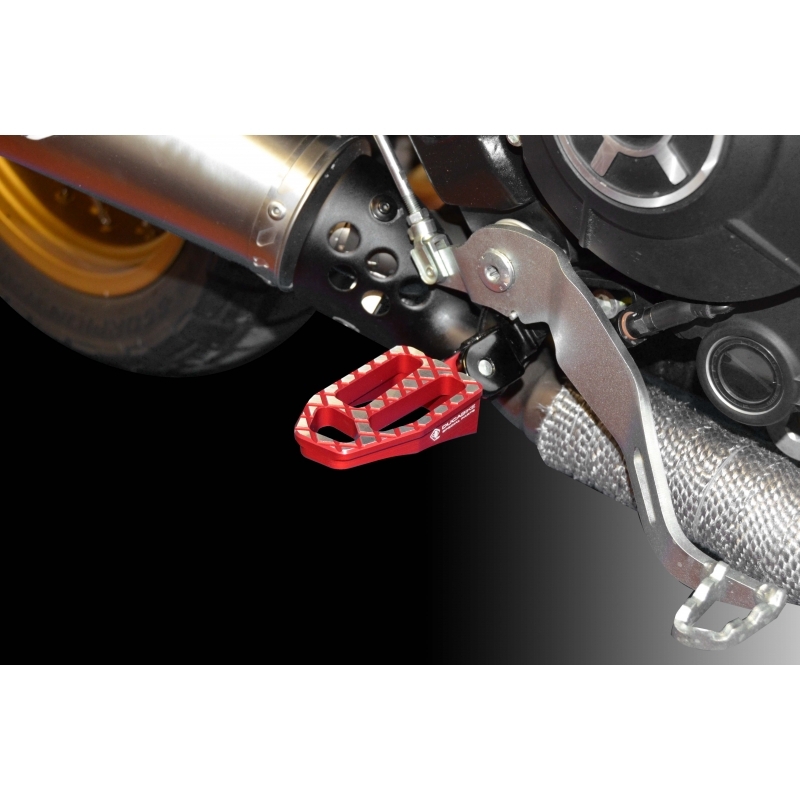 Now you can have it with Ducabike's new ADVENTURE style Footpegs for Rider and Passenger! Completely plug and play. 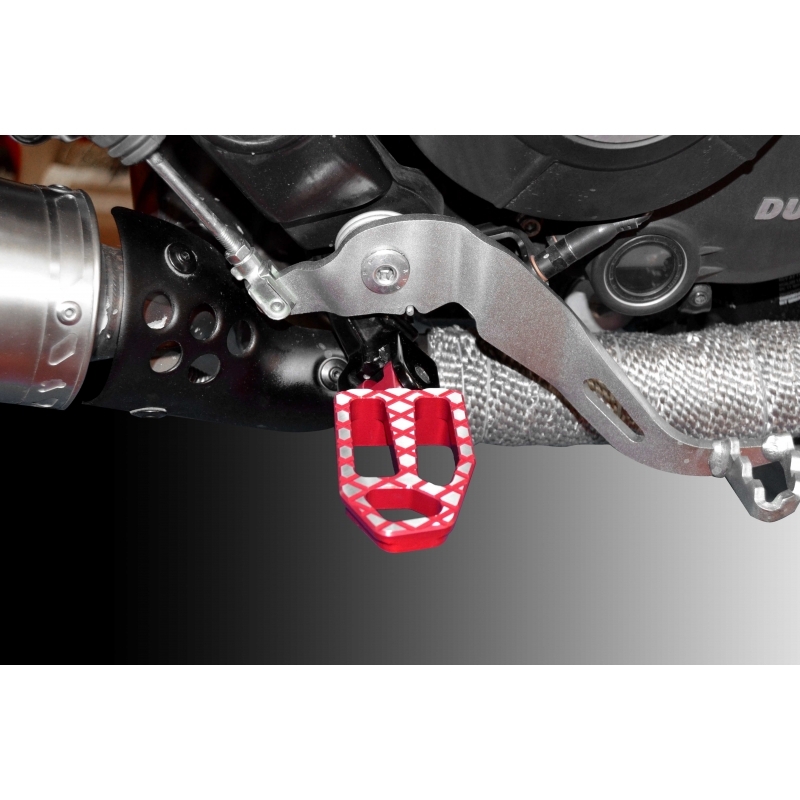 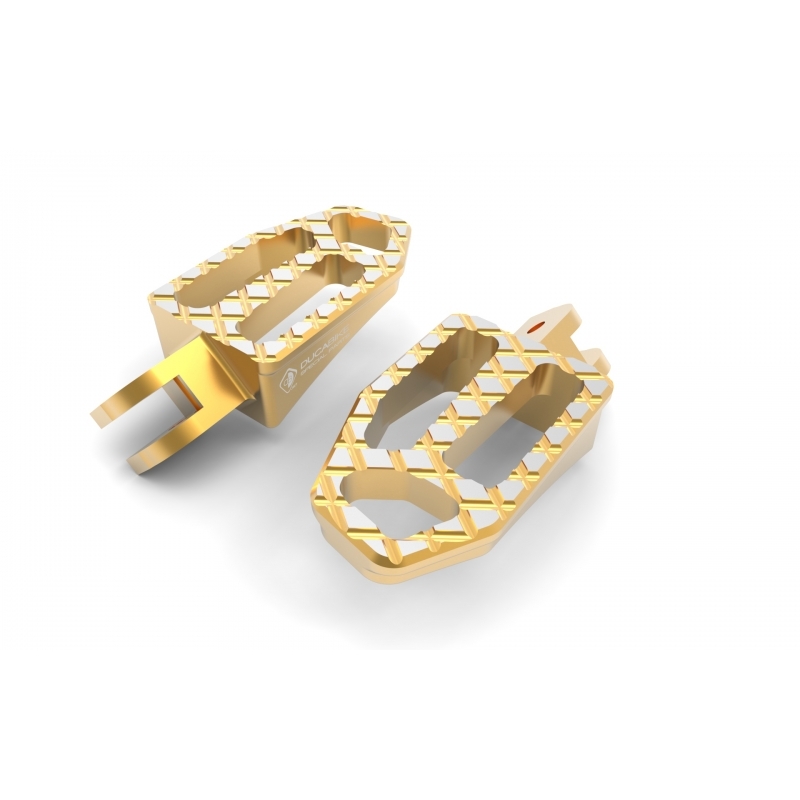 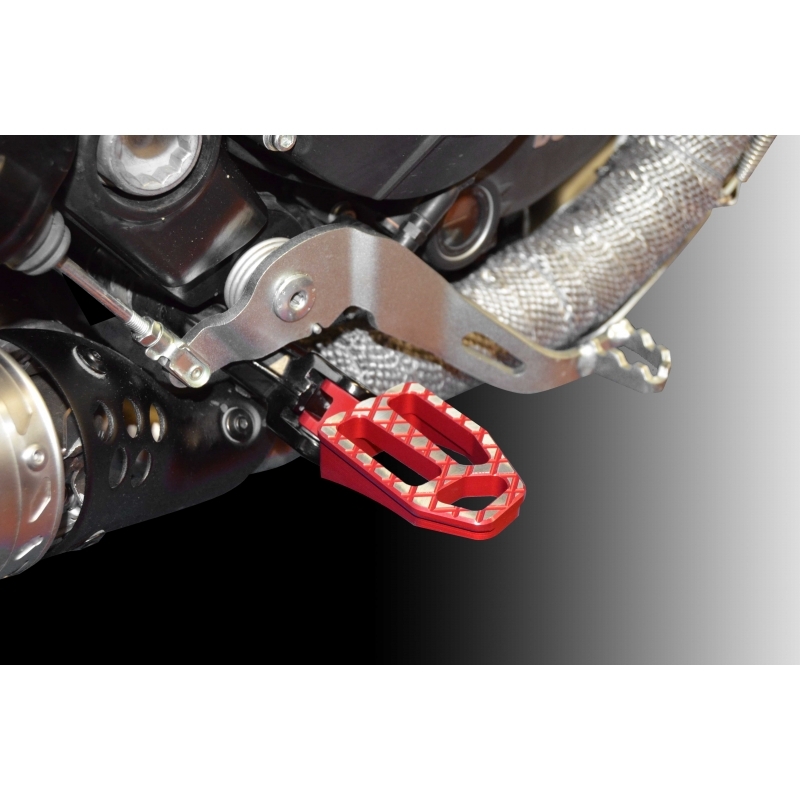 Just swap out your slippery OEM pegs with these from Ducabike. 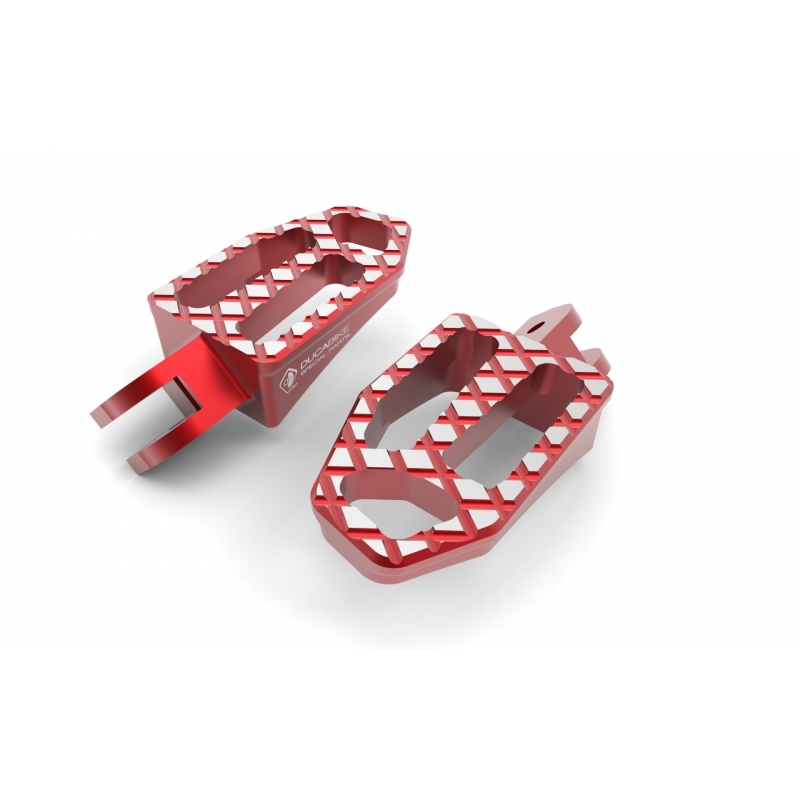 They Feature a nice Wide plat form, CNC Cut to give you excellent Grip when its all Slipper and Muddy out, but Still will look Killer going to the Coffee shop! 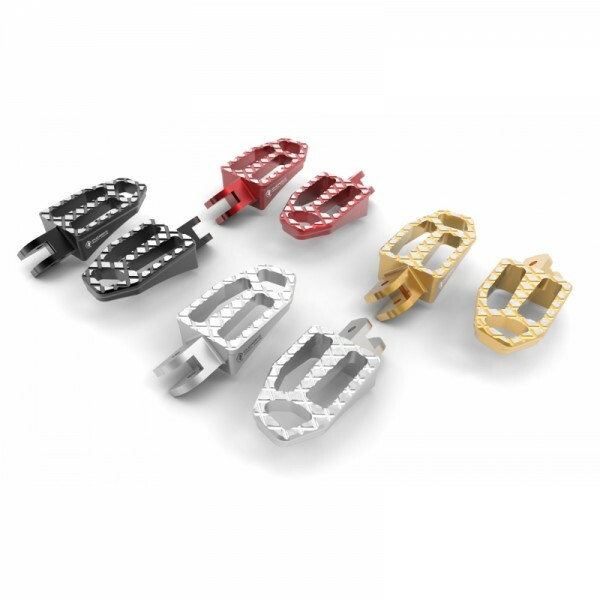 Beautifully machined from billet aluminum, then anodized in Red, Gold, Black, or Silver finish.